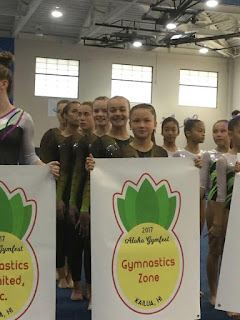 The four optional teams from the Gymnastics Zone traveled to Hawaii last week to train and compete in the 41st annual Aloha Gymfest held at the Le Jardin Academy on the scenic Windward side of Oahu and hosted by Kokokahi Gymnastics of Kaneohe,HI. 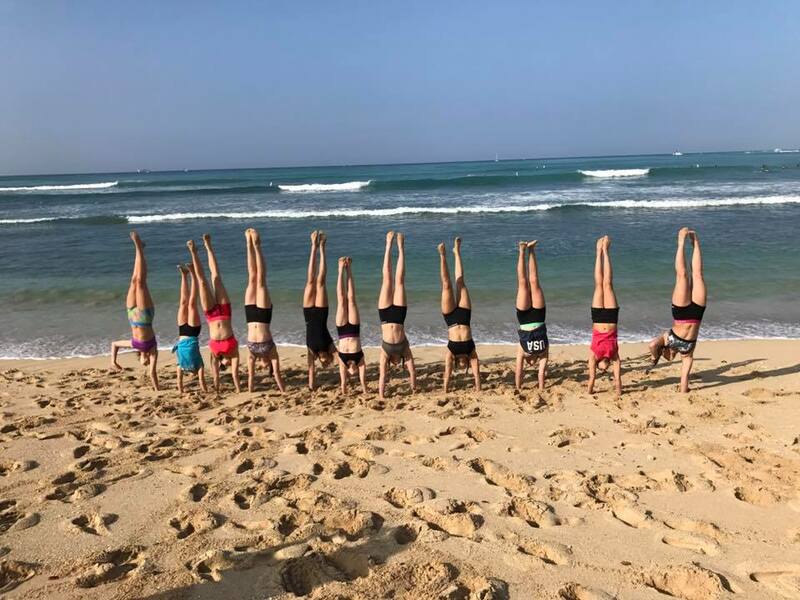 Fourteen of the sixteen team girls spent three days prior to the competition training both in the gym and on the beautiful beaches of Waikiki. 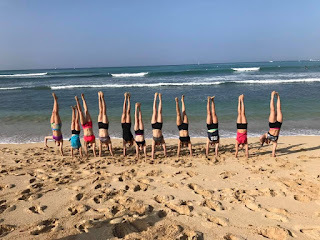 The girls then headed to the gym for two days of competition against girls from, not only Hawaii and the Mainland, but also Australia, Canada, Guam, Japan and New Zealand. The girls proved they could, not only hold their own against some really tough competition, but that they could also come out as champions. Naomi Uemura – sixth on vault, third on bars, seventh on beam, ninth on floor and sixth all-around with a score of 35.575. Hali Chaykin – first on vault, second on bars, second on beam, second on floor and first all-around with a score of 37.200. Lillie-Ann Sheppard – ninth on vault, fourth on bars, seventh on beam, ninth on floor and sixth all-around with a score of 35.150. Lydia Benton – seventh on vault, first on bars (national top 100 score ranking), fourth on beam, sixth on floor and third all-around with a score of 36.525. Shanna Hunt – sixth on vault, second on bars, third on beam, fifth on floor and first all-around with a score of 36.200. Ashley Gilbert – fourth on vault, scratched bars, second on beam, sixth on floor and ninth all-around with a score of 27.525. Ashlyn Parlett – first on vault, second on bars, third on beam, sixth on floor and second all-around with a score of 36.250. Haley Corrigan – second on vault, ninth on beam, fourth on floor and eighth all-around with a score of 32.300. Katy Cordeiro – seventh on vault, fifth on bars, third on beam, third on floor and fifth all-around with a score of 34.950. 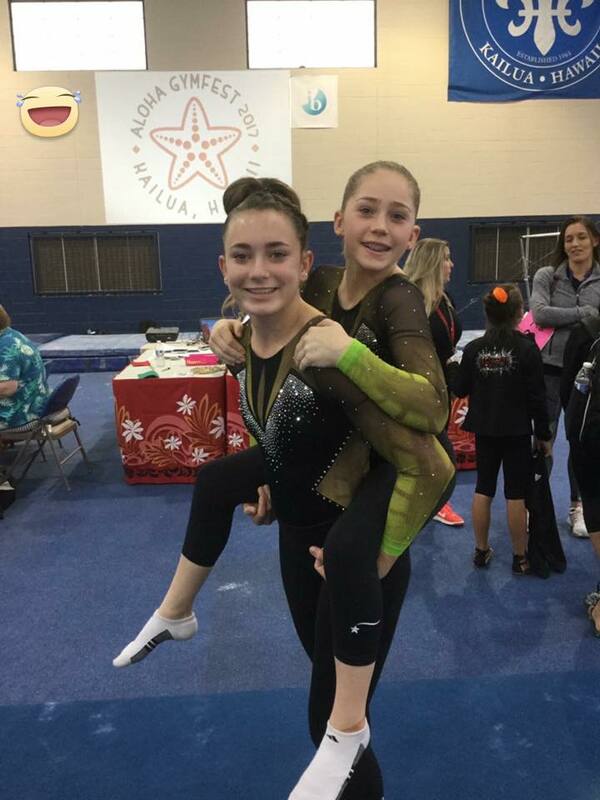 Rosie Urquhart – second on bars, scratched all other events due to injury. 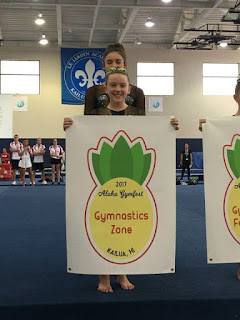 Thea Michovsky – second on vault, second on bars, fourth on beam, third on floor and second all-around with a score of 36.075. 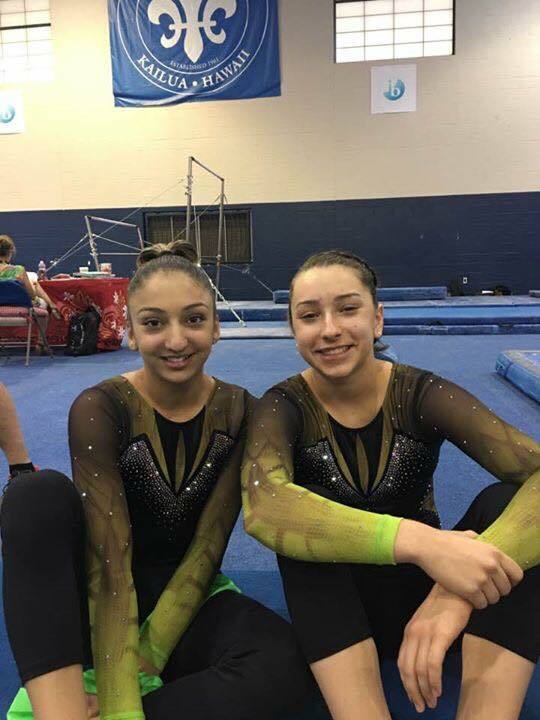 Blake Gozashti – third on vault, sixth on bars, third on beam, second on floor and fourth all-around with a score of 35.725. The four teams are now back on the Mainland and are training for their next competitions – the level 8, 9 & 10 teams will travel to Las Vegas January 27 – 29 to participate in the Vegas Cup, hosted by Gymcats, NV.